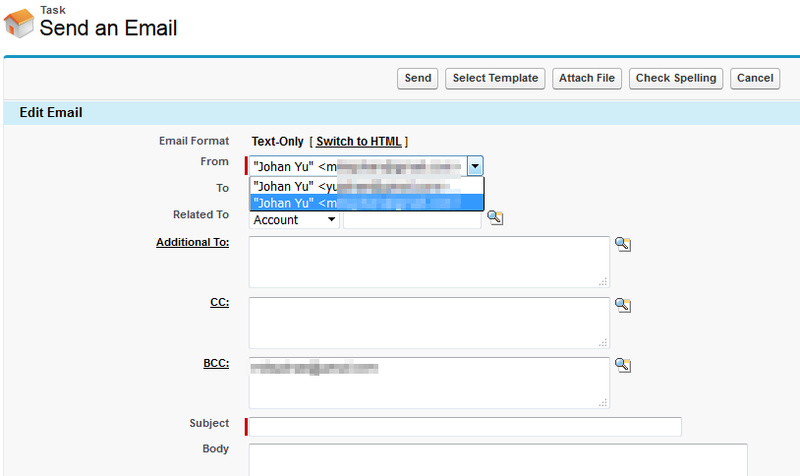 In previous blog, we discussed about issue with noreply@salesforce.com in Microsoft Outlook when Sender ID compliance is enabled. In this blog, we would like to discuss if Salesforce users need to send email as other email address or a team mailbox from Salesforce. 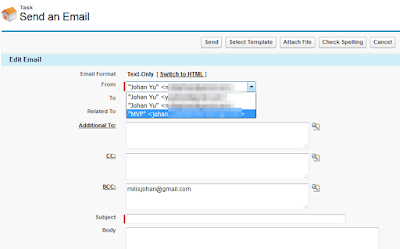 This is option is more for personal usage or need to do by each users if need to do by a team. Change "What email address would you like to use as your return address?" to the new email address. Salesforce will send an email for verification to that email address and you need to click the link in that email. 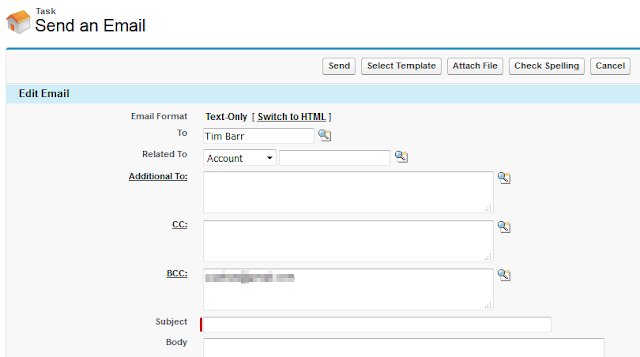 Once verification done, you will notice there are option for you to select a sender email address when compose email from Salesforce, so when recipient reply the email, it will sent to which email address you select. 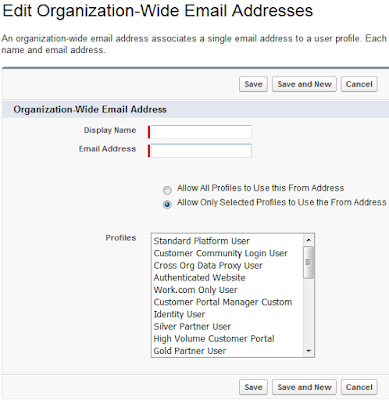 This option is for setting additional email address for whole Salesforce users or by Profiles. Add Display Name, Email Address, select either visible for all users (All Profiles) or certain Profiles only. Same with My Email Settings (point 1 above), Salesforce will send email for verification before it will be available to users. 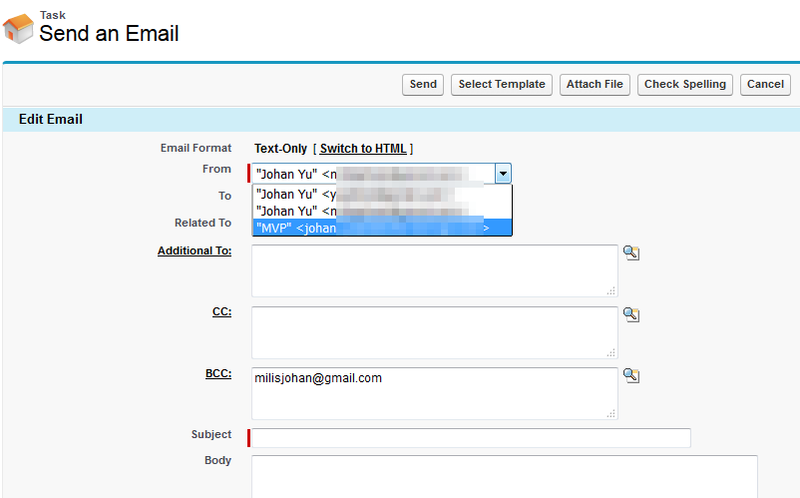 Once verified, notice additional email available in From when you Send Email from Salesforce.